“The wings of a bird, the trunk of an elephant, the curve of waves against a shoreline: these objects of organic beauty inspire me to create furniture that echoes their movement and grace. 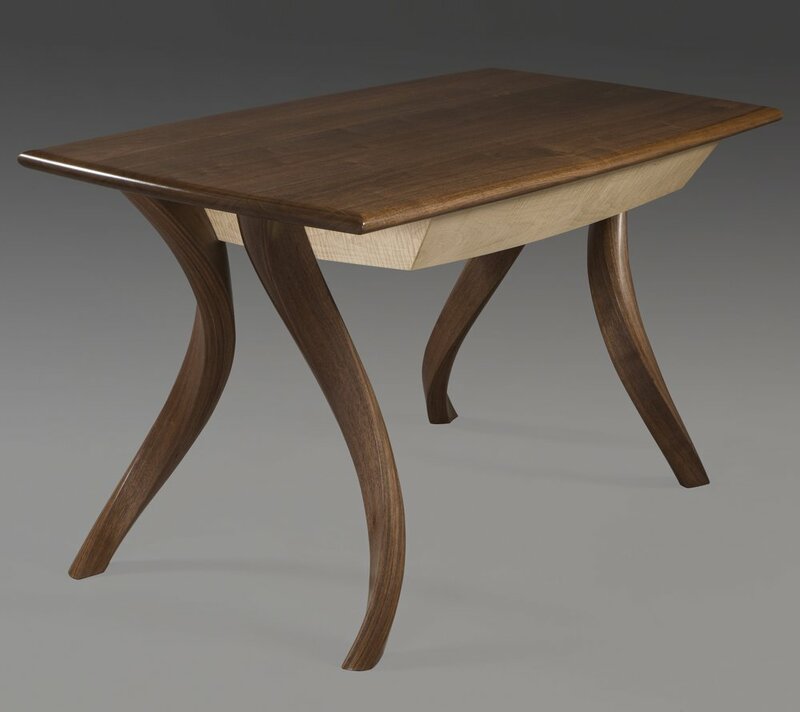 “I incorporate sculptural elements to my practice of carving, lamination, and traditional joinery. Every finely finished surface reflects the natural warmth of the wood and my passion for this work. Even after forty years, my first cut through a slab of curly maple still exhilarates me.